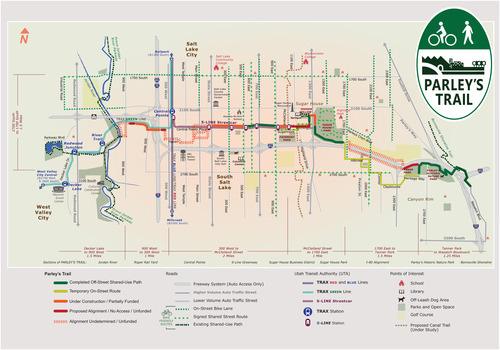 The Parleys, Rails, Trails and Tunnels (PRATT) effort is focused on connecting the Jordan River Parkway with the Bonneville Shoreline. The PRATT Coalition has been working on these connections for decades. Committed community members volunteer to work with municipalities and county officials to identify the alignments and help advocate for this trail. The Salt Lake City portion of Parley’s Trail is nearly complete and it goes through the heart of Sugar House. We are very fortunate to have this amenity in our community and hope you continue to take advantage of it. 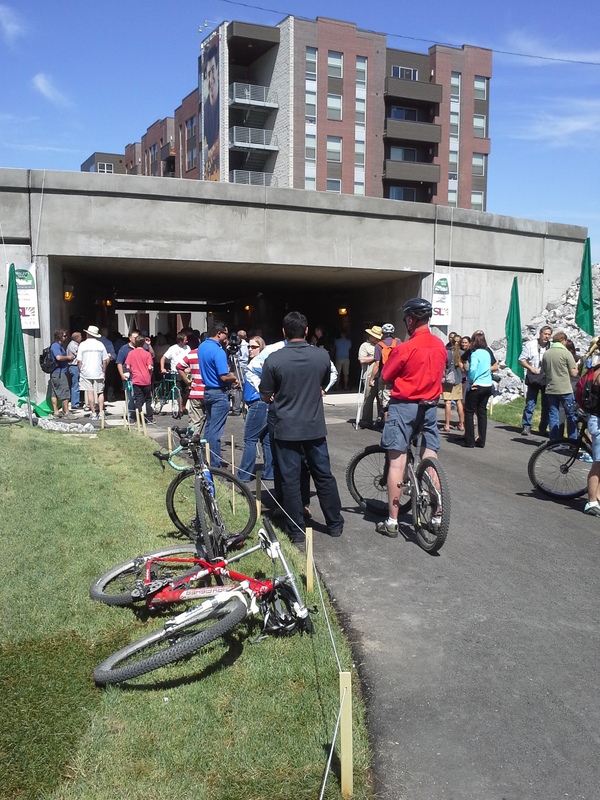 The recent additions have been the Greenway along the streetcar line, the Draw Tunnel connecting Hidden Hollow to Sugar House Park, the trail along the south end of Sugar House Park, the trail in Tanner’s Park and the overpass along I-80. View more maps of Parleys Trail. Consider donating to the PRATT Coalition of volunteering to help see the entirety of this trail become a reality.